Oh, I have so much to catch you up on. 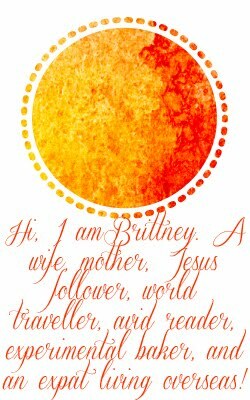 But for now, since I am procrastinating, here is a book post, for my 21st book. I saw the preview for the movie, and was instantly intrigued. I have no clue why, but, I was. I liked the book. Alot! The premise of the book is about a family, whose young daughter is diagnosed with cancer, and the most promising option for remission/a cure, would be to have a perfect genetic match, from a sibling. Only problem is, the brother isn't a match. So a new sibling is genetically engineered to fit the cancer sister. Fast forward 13 years later, and the younger sister has been put through many medical procedures, many which could threaten HER life, all to save her sister's life. She sets out to medically emancipate herself from her parents, who she believes are not making wise choices for her, but only for her sister. It is a wonderfully written story. I have been told most people cry. I didn't. I am not sure why, but something about the story made me more angry than sad (very selfish people, I suppose,) but I would definitely recommend this book to anyone who wanted something easy to read. It will definitely give you something to think about! More posts to come. I promise. I like these book posts. 21 books so far is fantastic I think. You continually extend my list of need-to-reads with these posts. 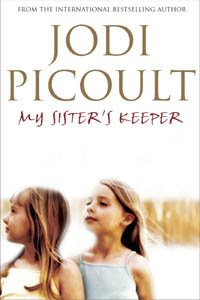 I want to try a Jodi Picoult book sometime and I definitely want to see the movie. I have read this book and loved it. I didn't cry either, but still moved me. I like Jodi's other books too. Have a great weekend! didn't read the book....just saw the movie. I hated it. I cried (like major sobbing) from beginning to end. Boo! I needed to laugh really bad after that! I really like the book. I listened it on my ipod and it was pretty great because they used different voices for the different people which I really like. I agree with Katie! The book posts give me some great ideas!